Ohio Wesleyan University senior Nate Axelrod (Dublin/Coffman), sophomore Ty Mansfield (Columbus/Bexley) and freshman Cade Richeson (Worthington/Thomas Worthington) have been named North Coast Athletic Conference Players of the Week for the week of Jan. 29, it was announced by the NCAC. Axelrod, a member of the Ohio Wesleyan men’s basketball team, was named Men’s Basketball Player of the Week; Mansfield, a member of the Ohio Wesleyan women’s swimming & diving team, was named Women’s Swimmer/Diver of the Week; and Richeson, a member of the Ohio Wesleyan men’s track & field team, was named Men’s Field Athlete of the Week. Axelrod led the Bishops with 25 points and 8 assists in an 88-76 win over Wabash on Wednesday. He sank a pair of free throws after Wabash had closed to within 54-50 midway through the second half, and added a pair of 3-pointers later in the half to help stop a Wabash rally. 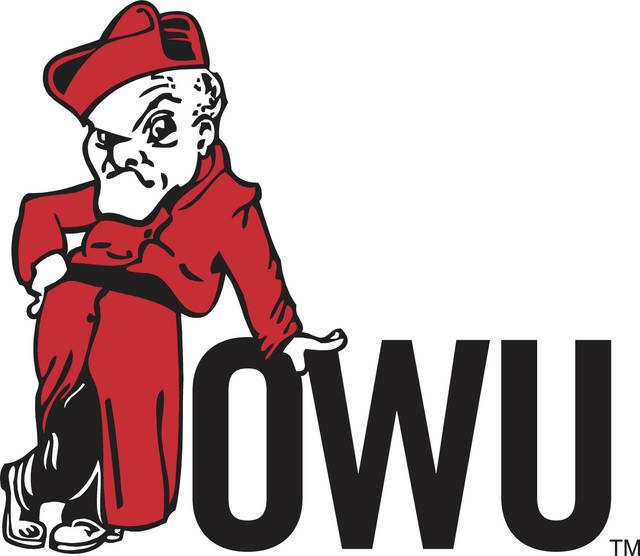 In a 78-71 win over Oberlin on Saturday, he hit a pair of lay-ins during a 7-0 run that put Ohio Wesleyan ahead to stay and converted a 3-point play after Oberlin had closed to within 66-61 with 2:11 left in regulation time. He scored 13 points and led the Bishops with 9 assists, moving his career total to 604 assists, making him the second Ohio Wesleyan men’s basketball player and the fourth in NCAC history to surpass the 600-assist plateau. He also started his 105th consecutive game at Ohio Wesleyan, breaking the school record of 104 consecutive starts set by Justun Lott from 1991-95. Mansfield won the 50 and 100 freestyle events in respective times of :24.20 and :53.61 and helped the Ohio Wesleyan 200 freestyle relay team win its event in 1:43.29 in a dual meet against Ohio Northern on Friday, which ended in a 117-117 tie. In the other half of the Friday double-dual meet against Kenyon, Mansfield placed second in the 50 and 100 freestyle events. She then won the 50 backstroke in :28.44 and the 100 IM in 1:03.43 to help Ohio Wesleyan win an invitational meet against Oberlin and Notre Dame (Ohio) on Saturday. Mansfield also finished second in the 50 butterfly and the 50 freestyle, placed third in the 50 breaststroke, helped the 200 medley relay team win its event in 1:54.04, and helped the 800 freestyle relay team to a second-place finish. Richeson turned in Ohio Wesleyan’s best individual finish at the unscored Spire Midwest Open on Saturday. He finished second in the shot put with a throw of 54-7, which ranks third in NCAA Division III this season. Richeson also placed 13th in the weight throw with an effort of 42-5¾.